The first tentative decision has been reached. I have decided (I think) to do my graduate degree at Newcastle University in Newcastle-upon-Tyne in England. I will be getting an MA in Greek and Roman Archaeology. The program lets me do Heritage/Collections Management along with more traditional archaeological methods courses. I’ll also be going to both Rome and Athens during the year. 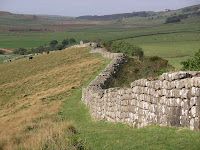 Newcastle-upon-Tyne (one of two English Newcastle’s, the other is Newcastle-under-Lyme) is pretty close to Hadrian’s Wall, so apparently we’ll be studying Roman archaeology there too. 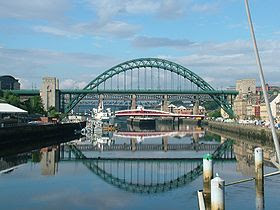 Newcastle itself is a smaller city in the North East, about 2.5 hours from Edinburgh and 5 hours from London. It’s surrounded by beautiful English countryside, it’s said. It’s a shipping town, but because of the university has a student population too. Newcastle University is apparently a “Russell Group” school, which is England’s equivalent to Ivy League. Which sounds pretty awesome to me. I guess I always figured if I was doing a classic’s degree anywhere but Oxford or Cambridge I was a step down from the best anyway. Apparently not so! I was conflicted, trying to decide between Newcastle, Edinburgh and Leicester. I wrote a pro/con list last night with the help of Kristen, Chris and Taylor. We decided the only real reason I wanted to go to the University of Edinburgh was because I loved the city, not the program. And I decided on my own that the only reason I wanted to go to Leicester was because it was so close to London. But, in the end, I think I’ll really like Newcastle. After all, I hated Dublin and adored Galway - so maybe I’m a small to medium sized town person. But as Chris said last night- no matter where I end up it’s going to be amazing. I’m going to be in England, doing my master’s. Doing a respected master’s program in a field I actually love (as opposed to my Bachelor of Journalism which I’ve hated since day one). This isn’t the final decision. I’m not ready to press any buttons or make it official. But I think this is it. And I’m really excited. I called Fae to tell her - she needed to be the first person I told, officially. England.. England is ours. It was our dream. And someday, maybe we’ll be there together. But this is just the beginning. If I could wish for anything in my life I hope that it never stops being full of firsts. Amazing! It’s like they made a program and a city just for you. What an amazing adventure!! WAHOOO!! I’m glad to have been in the teeny tinist bit involved in your making of this decision. Much love and best wishes! !